It is the beginning of June and the weather here is so crazy! Yesterday the weather was so stuffy and the sun was nowhere to be found.. And this is supposed to be summer, great! Anyway this is yesterdays outfit! 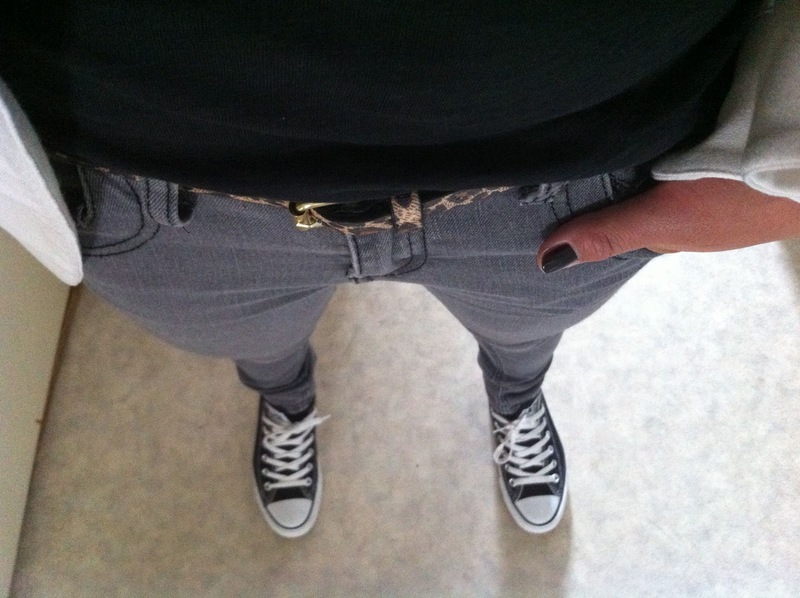 I wore a white blazer with black details (H&M), a black t-shirt (unknown), grey skinny jeans (Primark) with my leopard belt (New Look) and my black all stars (Converse). My bag was the Guardian Angel bag from Vlieger&Vandam, which I got as a graduation gift from my sisters.